As fall approaches, another winged migrant is making its way into the area: Bats. But unlike the birds, the bats have more on their mind than migration. This is breeding season as well, so they’re “swarming” to find a mate, said Bill Scullon, field operations manager for the wildlife division of the Michigan Department of Natural Resources. Or, more accurately, mates, plural. Most of these are little brown bats, which means “mating is random and promiscuous. Females in active phase usually mate with more than one male,” according to the University of Michigan’s Museum of Zoology. After “meeting and greeting,” as Scullon put it, in the nighttime hours, the bats during the day gather together where they can find a rough surface to cling to — a place with shelter from the elements, preferable on a brick or stone surface that better retains heat, he said. That’s why doorways with awnings are so popular for the bats, stacked on each other so they conserve energy, he said. While it might unnerve people to see these bats clustered so close to building entries and exits, Scullon said they will remain inactive unless disturbed. Some of these little brown bats will remain in the region, while others will continue to caves in Wisconsin. In past years, this mass movement could be detected on radar, like flocks of migrating birds. But the emergence of white-nose syndrome in the region has taken its toll on the once-plentiful bat colonies in the Upper Peninsula, cutting numbers of little brown, big brown and Northern long-eared bats across Michigan by about 82 percent. 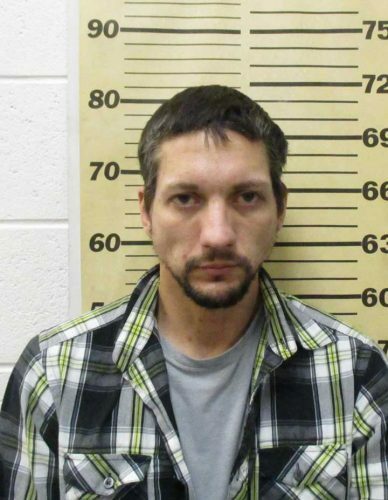 In some caves, the mortality rate was almost 100 percent, Scullon said. Those caves tend to be warmer, about 40 degrees even in winter, which seems to be ideal for the fungus to grow. But colder caves are showing some promise in at least keeping the fungus in check, so much that researchers are studying ways to lower the temperature in known hibernacula sites, Scullon said. This fungal disease has wreaked havoc with the little brown and six other North American bat species, all but wiping them out in New York, the state where white-nose syndrome first emerged in 2006. The fungus damages wing tissue and causes the bats to rouse from hibernation during the winter, burning up their sparse energy reserves before spring arrives. Though long-lived for a small mammal — some can survive 30 years — bats reproduce slowly, producing only one pup with each pregnancy, and it’s unknown whether they bear young every year, Scullon said. So humans should avoid putting any more stress on the U.P.’s bats than they’re already under, or reduce the population by killing them without cause, Scullon said. “It’s important for people to tolerate them as much as possible … if people tolerate them for a few more weeks, they’ll go into hibernation and they’ll be gone,” he advised. The region’s forest bats — the hoary, red and silver — are now moving south as well, though unlike the little brown bat, these will travel much farther in migration, as far south as Kentucky, Scullon said. The effects of white-nose syndrome on those species, more solitary than the little brown bats, is unknown, as they have been little studied, he said. 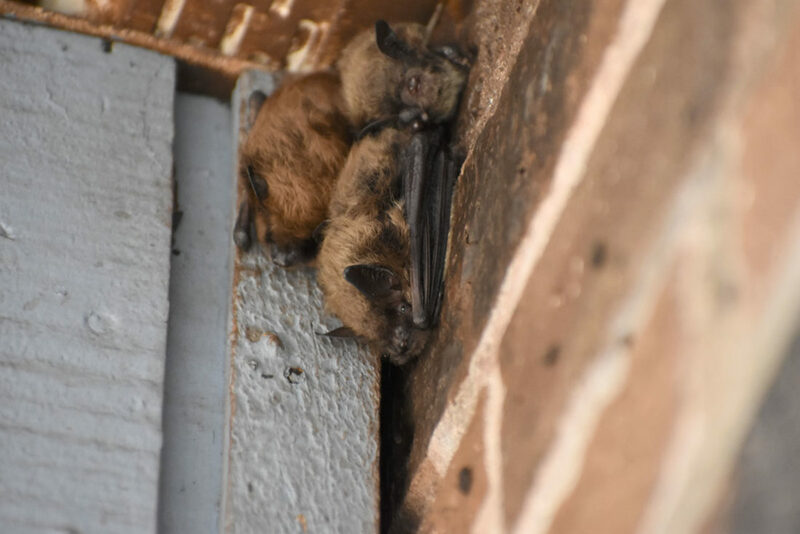 If these now-mating little brown bat females manage to survive hibernation this winter, they’ll give birth in June and July; while gestation takes 50 to 60 days, they are able to delay conception until spring, according to the University of Michigan. The pups are able to fly on their own within four weeks.